I often use the phrase ” we need to change the way we work ” when I respond to conversations about solving problems in the workplace, especially regarding cyber threats, team collaboration or improving communication between teams and clients. The phrase itself, however, is very broad, with a variety of meanings, which brings about the question about its true meaning. One is limited with what one can say in a social media thread, which is why I wrote this article to explain myself in more detail. When I get asked to explain myself, I can simply reply with the link to this article. The chances are good you have been a recipient of one of these very links. If so, thanks for clicking through, I sincerely hope I give you the answers you seek. Change the way you work. What does this mean? What exactly is it that needs changing? Well, firstly, a simple change in the way you do things won’t help much. A paradigm shift in the way you think is required to inherit a mindset of continuous improvement, a deep desire to do things better. In my mind, this is when innovation takes place – when you start doing things better than you’ve been doing them before. It was this line of thinking that lead to the birth to our slogan – ” Work Better “ ( the short version ) and ” A Better Way To Work “ ( the longer version ). I used to think of this new way of working as the ” Future of Work “, however, with the launch of ydox 2 ALASKA approaching, it is no longer the future of work. We are already there. ydox allows you to improve the way you work, right now. To get back to the topic, what does it mean to work better? I have asked this question to various people and my consolidated results are fascinating, to such an extent that it gave me absolute certainty that what I have set out to achieve with ydox will, in fact, change the way people work. My findings in this article is a result of working with professionals from various skill sets, executive levels and industries from South Africa, Europe, Australia, USA and the United Kingdom. Here is my conclusion on what it means to ” Change the way you work ” and effectively ” Working Better “. 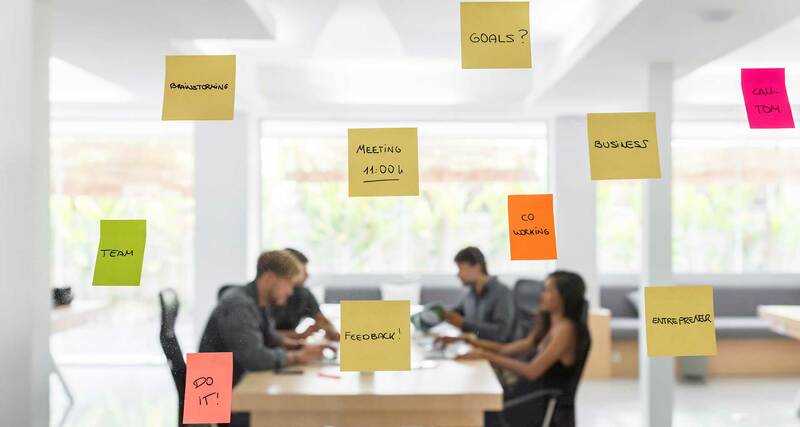 From the workshops and brainstorm sessions, the end goal of “Working Better” is a more connected and efficient workforce in order to increase revenue and maximise profit margins. Before I go into detail on the above, I want to present you with the value proposition of ydox first. Understand what ydox is first so that you can see the critical role ydox plays in “changing the way you work”. ydox is all your work, in one safe place. It is where you share and safeguard your files & work, co-author and sign documents while having critical company information at your fingertips. All work communication takes place in ydox – notifications, reminders, instant messaging, voice & video calling & digital conference meetings and feedback from clients on service deliverables. Notes, thoughts, ideas and minutes get captured on a digital whiteboard where everyone participates. ydox creates a more connected & efficient workforce that drives exceptional results. Transparent client feedback transforms digital conversations, into actionable, measurable & audit-able task boards. Your people, their work, their ideas, their communication, the mind of your company – all in the palm of your hand. Project discussions, files, agreements, designs, spreadsheets, announcements: they all live together in the safety of ydox. With your team, work and information in one safe & easily searchable place, remote working is like working in the same room. Work today is scattered all over the workplace and sometimes even outside of it. An organisation’s work exists across multiple devices, local and cloud storage facilities and mailboxes. Some companies have storerooms filled with physical folders and documents and some even have remote locations for physical storage, either in the same city or another. ydox consolidates every aspect of work and brings it all together into the same room, including the people. All the stakeholders of a business – connected in ways they have never worked before. Company employees can access company information and work from any device, anywhere in the world. Management can pick up a friend’s laptop, log in to their own secure ydox account and have access to all the work they need, right at their fingertips. It makes no difference where in the world you are. If you don’t have a laptop, a mobile phone will do just fine. When it comes to processes, most of them are manual and driven by people. ydox allows you to automate the flow of documents and the communication around it, from the creation and co-authoring of documents to automating the approval process and closing off with digital signing. In many more ways, ydox automates your workflows and keeps the user activity trail for auditing purposes. Nothing happens without anyone knowing about it. 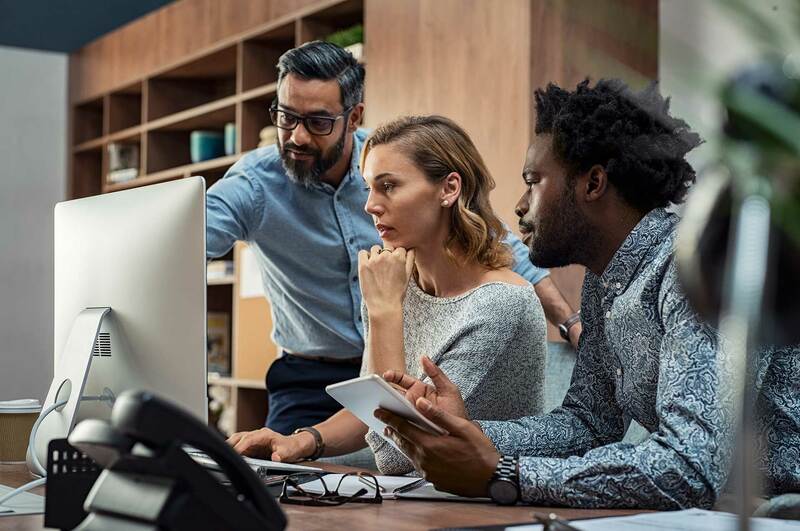 Company files, communication threads between employees and clients, notes, chats call logs and user activity are all available to management staff at arm’s length, from any device via a secure login, changing work in a big way. In fact, it revolutionises work. 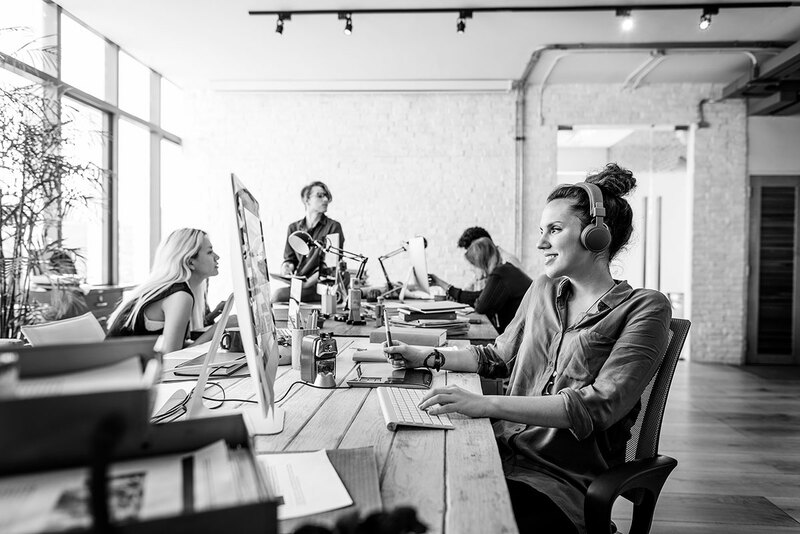 The younger generation has instant gratification built into their DNA, therefore this new way of working allows teams of all sizes to work the way they were born to work. Instant access to whatever they need to get the job done in the most efficient way. Imagine how this impacts client satisfaction? Getting people to work in a team is one thing, but getting a team to work efficiently is an entirely different feat. ydox allow teams to work together in a much more connected way. Team members can see the communication threads between clients and other team members and everyone is aware of what is going on at any given time. Having a team on the same page, especially where remote workers are involved is gold in this day and age of remote working. The enterprise-grade security of ydox combined with the security processes to secure the way people use the platform makes it one of the safest work tools in the world today. It is one of the few work tools with end-to-end file encryption at rest and during transit. With most communication between employees and clients happening inside of ydox behind closed, secure doors, the need for email decreases. All the risk that email poses to a business can be mitigated by effectively using a tool like ydox for communication between business stakeholders. I briefly touched on this earlier, but just to reiterate, communication in an organisation is scattered between many people, devices and inboxes. Finding a mail in a large inbox is like searching for a needle in a haystack. ydox keeps all communication boxed in, secure and easy to search and easy to manage. Everyone on the team that needs access to certain levels of communication has it, at their fingertips. Imagine how this will impact the gap in communication when staff go on leave or better yet – resign. It won’t have any impact, as all communication is in one secure place, categorised and easy to find with state of the art platform-wide tagging, pinning and search tools. 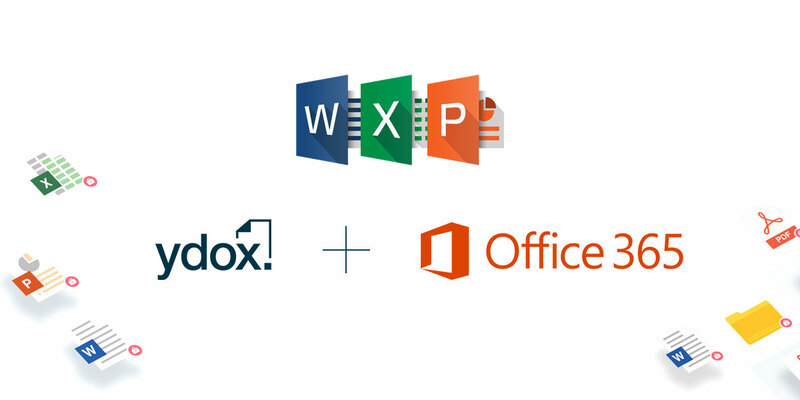 Our integration with Microsoft’s Office 365 has changed the way our users work with files. You can open and edit Office files if you have an Office365 license. Secondly, multiple people can open the same file and co-work on it, with live viewing of the other’s changes, while having an audio or video call to talk about the work at the same time. I absolutely love this. It really has such a great impact on the efficiency and quality of work. Mailing a document, waiting for the recipient to read and make edits and receiving back the file takes time. Repeat this cycle again and you end up with 4 versions of the file. With ydox, you connect on one call, discuss the changes, do them in real time while both participants are looking at the exact same file. This gives you one version of the file behind secure doors and you’re done in just a few minutes. This might sound a bit repetitive, but it is an important point. Email is a big threat to business and that will never change. I don’t believe the cyber threats can be resolved with tech as threats evolve faster than the solutions. The right way of solving this is taking the critical communication and handling of sensitive files outside of email and safekeeping it in the secure environment of a platform like ydox. Actively using ydox for business communication can remove 80% of your need for email, that in itself is an 80% drop in your cyber risk and a massive time saver. What cybersecurity software can match this? Remote working is a topic for another day – one that is already covered on our blog, click here. The reality is that remote working is a real thing, and ydox superchargers the effectiveness of remote working by bringing all business stakeholder into the same room – digitally. With ydox, you can run teams of hundreds from remote destinations and be more effective than having everyone in the same office. Yes, there are many communication tools out there, but not one that has all of your company inside it too. By keeping one version of the file in ydox for everyone to view, share and edit, you have one true version of the file and not 6 different versions in mailboxes across the office. Sending off the wrong file to a client or signing an outdated version is a common problem in offices around the world. With ydox, this is impossible. One file, one version and relax, you have access to all the historical versions of that file just in case you need it. Companies work with many tech tools to solve various organisational problems. It is the vision of ydox to integrate with the tools you already use to make life easier for you. An integrated workplace rather than a scattered, disconnected workforce. There are various ways in which you save time with ydox. Effective working, clients having instant access to files, instant digital conference meetings, converting audio meeting notes to text files in seconds, sharing files and notes with clients to co-author and collaborate. The list of time-saving aspects is long. Time is money, and saving time can increase profits. With the entire document process living in ydox, from creation to signature, why the need for print. We are currently running a few case studies on how some of our users are taking their companies paperless. One of them being a law firm which is one of the most paper-heavy industries in the world. Paperless. This is innovation. The true meaning of innovation and entrepreneurship is not building a new business or creating something new, but rather to simplify things that already exist and doing them significantly better. Uber did not introduce anything new to the world, but they significantly changed the way we use public transport. I believe that a platform like ydox allows a company to work significantly better, by empowering workers with the tools they need to change the way they work, significantly. ydox – a better way to work.